It’s that time of year again in Southeastern PA; hot and humid days call for more frequent lightning storms. According to physics.org, a bolt of lightning has enough electrical charge to toast 100,000 pieces of bread. 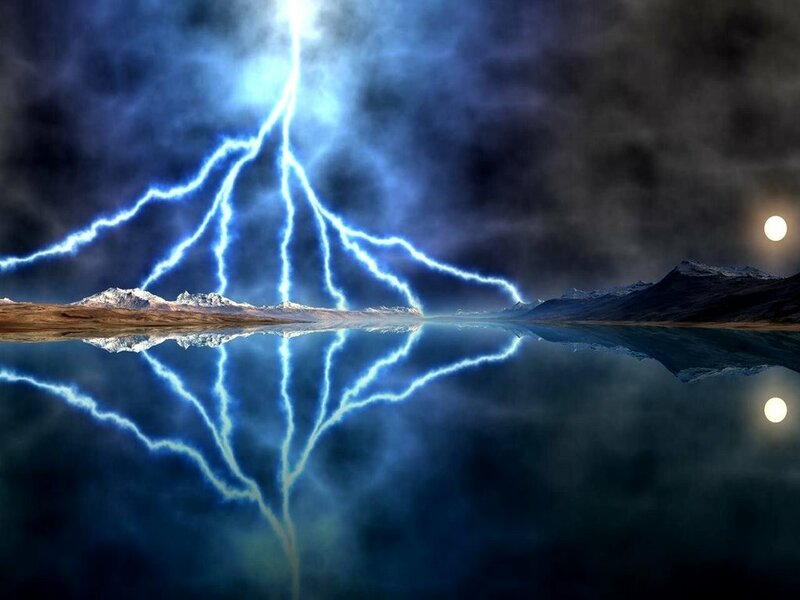 One lightning bolt can consist of up to one billion volts of energy, and a current of 30,000 to 50,000 amps. To compare, the electrical wiring of your house can carry a current between 15 to 50 amps. That’s a lot of power! You may think lightning only happens once in a blue moon and the odds of your property getting struck are slim to none; however, lightning strikes about 40 times a second worldwide, calculating to be around 3 million strikes each day! Protecting your home and electrical appliances is important when it comes to lightning. From just the past few decades, we have introduced our homes with all sorts of electronic equipment: sound systems, computers, TVs, blu-ray players, Kurig machines, Roku players…the list is endless! All of these electronic devices and other appliances like washers and dryers can be damaged by lightning storms without proper protocol; lightning arrestors and surge protection. Before we get into lightning arrestors and surge protection, it’s important to note that a house needs to be properly grounded. Grounding allows for the energy from the lightning to be diverted to the ground. The more unneeded energy that is diverted to the ground, the less unneeded energy will channel through your electronics and appliances. Please remember: surge protection only works if a home is grounded, so this is the first step to achieve lightning protection for your home. A licensed electrician can make sure your home is grounded correctly. To learn more about the importance of grounding, visit our grounding blog! Once a house is properly grounded, it’s time for the lightning arrestor installation. A lightning arrestor is a device that is installed into your electrical panel. It absorbs the excess energy from the lightning strike, and assists in dispersing it to your grounding system. This absorption and movement of the added voltage to the ground prevents damage to your electrical wiring and devices. Lightning can strike anywhere, from directly onto your house to the overhead power lines, creating a boost in electrical voltage, also known as a surge. Surges have damaging effects on electronics, and that it is why it is necessary to have surge protection. A whole house surge protector is a device that protects all electronics in the home from the added voltage that can pass through the grounding system and the lightning arrestor. These devices only keep the amount of electricity needed for the house, and weed out the excess that occurs from surges that can damage wiring and appliances. In conclusion, protecting your home and appliances from the damaging impact of lightning is crucial. With proper grounding and the installation of lightning arrestors and whole house surge protection, you can rest assure your home’s electronic devices and appliances will stay alive!